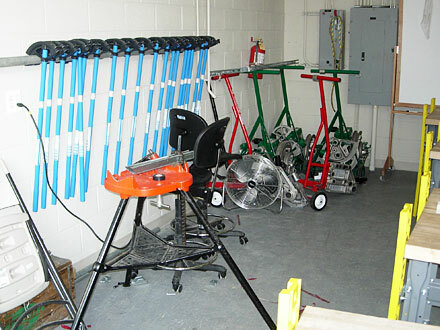 This lab is fully equipped with five 1818 Greenlee "Chicago" type ratchet benders and one Greenlee 555 mechanical bender. With these benders, apprentices receive numerous hours of hands-on-training. We currently offer a skill improvement course for Journeymen who wish to sharpen their skills in the art of conduit bending.